Earlier, Morrison and French Defense Minister Florence Parly signed a new agreement to deliver the first of a fleet of 12 submarines to Australia in the early 2030s. French state majority-owned shipbuilder DCNS won the 56 billion Australian dollar ($40 billion) contract in 2016 to build the world’s largest diesel-electric submarines. U.S. defense company Lockheed Martin Corp. has been contracted to design and fit the submarines’ weapon systems. “When I heard at some point … whining about the length of negotiations, I thought: ‘open your eyes. This is the deal of the century. This is a partnership for the century,'” Parly said. 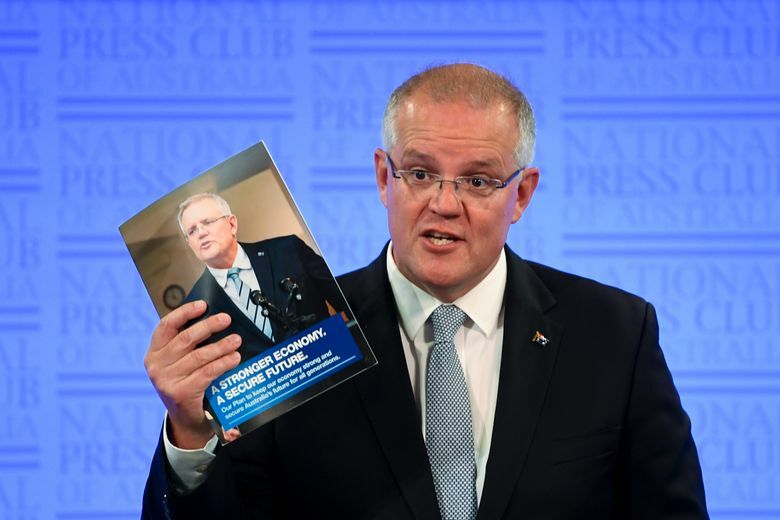 Morrison said his government was on track to boost defense spending to 2 percent of gross domestic product — a level demanded by President Donald Trump of U.S. allies — by 2020-21. When the center-left opposition Labor Party was last in office from 2007 to 2013, defense spending fell to 1.56 percent of GDP — Australia’s lowest level since 1938. “Please, I would like to ask you: Will you vote for this bill tomorrow in Parliament to bring sick people to Australia for treatment, or more of us will die here because of the Australian government ignoring doctors?” she told Australian Broadcasting Corp. in an appeal to lawmakers. Twelve asylum seekers have died on Nauru in the past five years. If the independents accept Labor’s amendments, the government would become the first in 90 years to have a law passed against its wishes.